"On a list of countries where journalists fear for their lives, the United States is number 5." "As of Dec. 1, more than 250 journalists are behind bars, just for doing their jobs." "Six months after the murder of journalist Daphne Caruana Galizia, police investigators are building a detailed picture of what they believe happened. After three suspects were arrested in December last year, mobile phone data and CCTV footage is providing valuable evidence in determining how Caruana Galizia was killed"
War-torn Syria remains the most dangerous country in the world for journalists, RSF said, with 12 reporters killed, followed by Mexico where 11 were assassinated." Scores of imprisoned Turkish journalists face a Kafkaesque nightmare of legal limbo, farcical charge sheets, maltreatment and even solitary confinement in the country that locks up more reporters than any other in the world." The last journalist to be killed in the country was Blas Olivo who was shot dead in April 2015." "As ‘alternative facts’ fill our social media feeds, BBC Future examines a more rational approach to digesting information." "Online encyclopaedia editors rule out publisher as a reference citing ‘reputation for poor fact checking and sensationalism’." "Facebook va donc prochainement expérimenter en France un système similaire à celui qu’il a déjà mis en place aux Etats-Unis en décembre avec le concours d’ABC News, AP, Factcheck.org, Politifact et Snopes. Dans l’hexagone, outre 20 Minutes, le dispositif intégrera également les rédactions de Le Monde, l’AFP, BFM TV, France Télévisions, France Médias Monde, Libération et l’Express. "The year 2016 has been the most violent year ever for reporters in Afghanistan, a new report says. The Afghan Journalists Safety Committee released its latest report Monday. The group observes the safety situation of reporters in the country." "This list of newspapers in the United States is a list of newspapers printed and distributed in the United States. It includes a list of the 25 newspapers in the United States with the most circulation, followed by lists of newspapers published in United States territory. Those lists are followed by a series of links to other lists of U.S. newspapers, organized by various categories." "Four million pages of newspapers from the 18th and 19th centuries have been made available online by the British Library." "Last Sunday was the 160th anniversary of The New York Times. Throughout those years, The Times has created quite a reputation for itself and has even garnered the nickname the “newspaper of record.” These days, the paper is the third most popular in the world, only ranking behind The Wall Street Journal and USA Today, neither of which are location-based like The Times. As Hearst envisioned it, the "journalism of action" was to be a sustained force, defined by activism on many fronts and fuelled by frequent doses of self-promotion and self-congratulation." - was loosely based on Hearst"
to break his doll in a 1930 cartoon"
He later expanded to magazines, creating the largest newspaper and magazine business in the world." "The actions of Rupert Murdoch's newspaper group have drawn the wrath of Westminster, but this is not the first time that politicians have done battle with mighty press barons." It's the burning issue in the world of the newsagent - where did all the newspaper boys and girls go?" 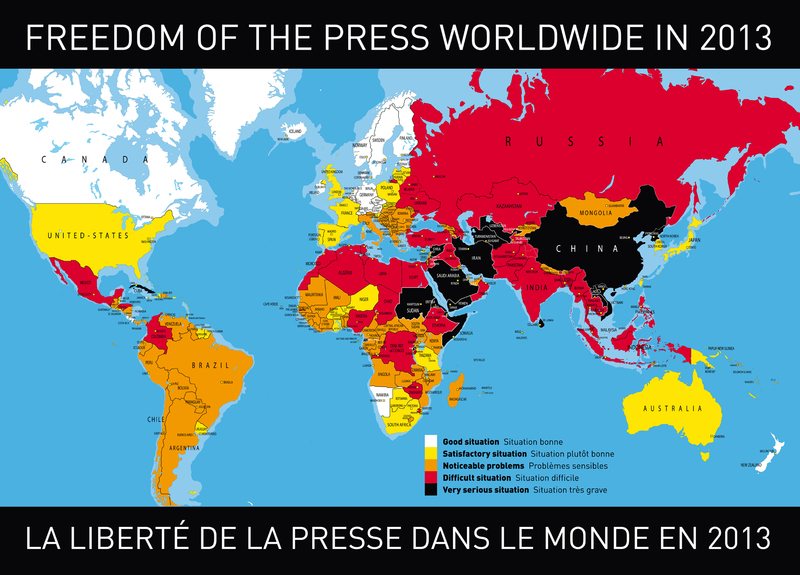 "Two new reports find the largest decreases in press freedom are in Europe, while press freedom in some parts of Africa increases."